Junior college All-America selection . . . Ranked as the No. 1 junior college player in the nation by GolfStat . . . Originally from Saint-Louis, Reunion Island, Sale earned Honorable Mention All-America honors as a freshman while helping lead Indian Hills (Iowa) Community College to a runner-up finish at the NJCAA National Championship . . . Finished tied for 18th at the tournament, while also earning academic all-region honors . . . Ranked No. 240 in the 2017-18 GolfStat Cup, which includes all collegiate divisions . . . Indian Hills ranked as high as No. 1 in the 2017-18 NJCAA Division I Men’s Golf Coaches Association Poll . . . 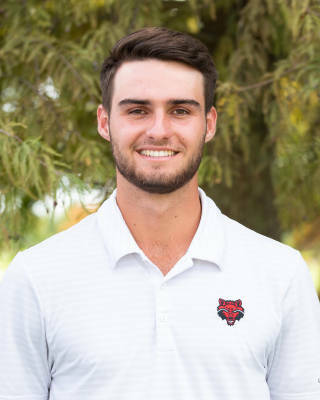 Finished among the top seven individuals in the Warriors’ four 2017-18 fall tournaments, including a pair of championships and one runner-up outing.